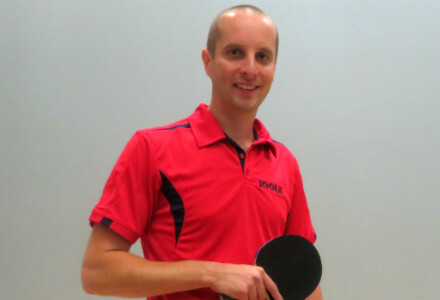 I’m a table tennis coach, player and blogger based in Cambridge in the UK. I’m here to help you improve your table tennis skills. On my website you can read about 1-to-1 coaching options, watch my video lessons and learn lots of useful tips in over 150+ coaching articles. 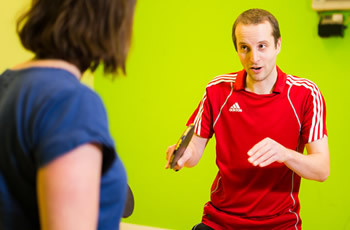 I provide 1-to-1 table tennis coaching in Cambridge, UK. I am happy to coach players of all standards and all ages. 1-to-1 coaching is a great way to improve because the coaching is entirely focused on your game. You get all of my attention! 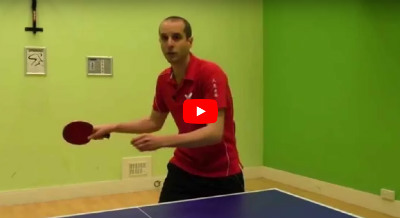 You can watch my table tennis lessons (for free!) on my popular YouTube channel. I also have an online table tennis course for beginners, where I demonstrate the basics skills you need to play and improve at table tennis. Over 2300 people have signed up already. 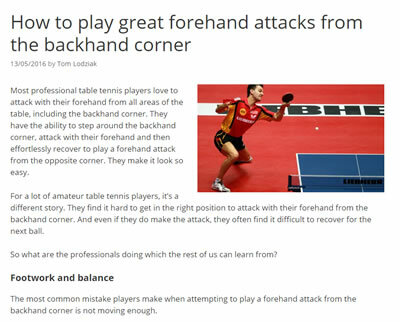 You can read lots of table tennis tips in my library of 150+ coaching articles. I discuss technique, service, returning serves, tactics, match-play, mindset and training drills. I also give equipment advice on bats, balls, rubbers, blades, tables and robots.